Your skin is a complex organ that requires a lot of care. We understand that it takes a lot of elbow grease to rid of signs of acne, age, and late night drinking binges, but the savvy person can now rely on high-tech to do a good portion of the work for them. All you need to do is have the motivation, about 10-minutes, and enough curiosity to take advantage of these three time-saving devices. 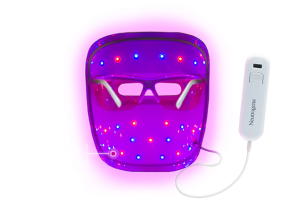 We’ve been told to stay away from intense rays of light to maintain our youth and healthy glow – but when it comes to red and blue LEDs, the research suggests to indulge in at least 10 minutes a day if you’re dealing with a breakout of acne. And while this Neutrogena Acne Mask can help with larger breakouts, we found it to be equally effective on those smaller (night before a big date) occasions too. 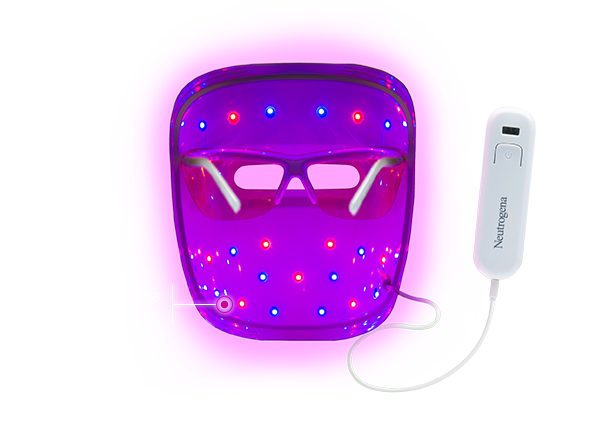 The way it works is the red and blue LEDs are tuned to the correct nanometer to destroy bacteria and reduce inflammation. This not only reduces the size of your pimple but also the redness. 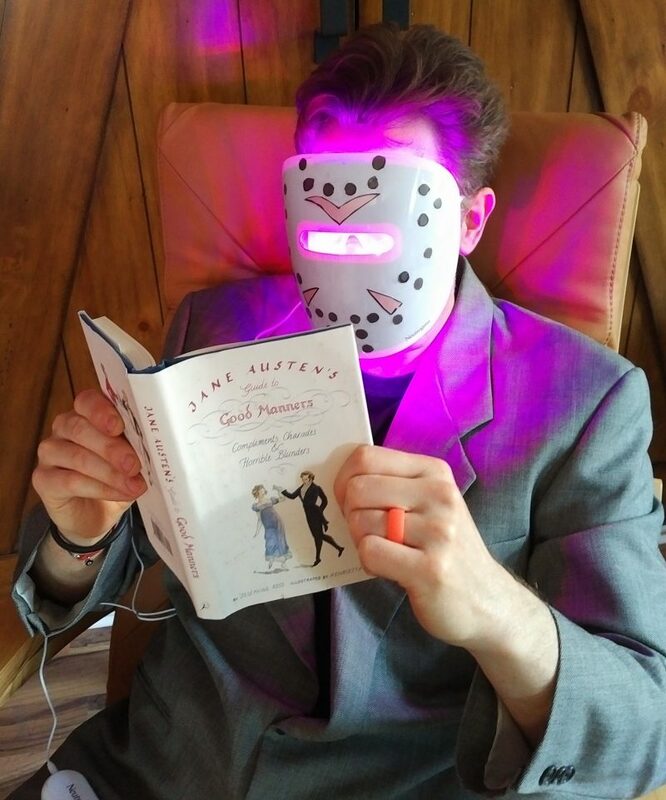 And this is no gimmick device, as it has been tried and accepted by a lot of knowledgeable people, including licensed dermatologists, experts as NASA, and probably even your girlfriend. And it is easy to use. Just put on the mask, load up one of the 30 10-minute sessions that come with each battery and chill, get some work done at the computer, maintenance your car, or listen to your favorite vinyl. The point is, this little device does 100 percent of the work while you enjoy 100 percent of the results. And we can vouch from our own experience that it does work. And if you think it appears too feminine for your machismo, we’ve thought of at least one solution to that problem. You’re a guy, but you probably wash your face, right. You put soap on, scrub it around for a few seconds, and then rinse off and go about your day. What if we told you that a tech device could do the scrubbing for you- and not only that – but would do a much better job. It is called microdermabrasion, and it involves exfoliating your top of your skin to unveil a more clean, clear, wrinkle-free, and youthful appearance. 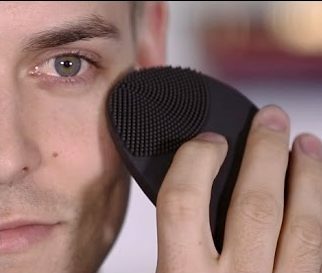 And while professional machines can cost hundreds to thousands of dollars, the good news is that moderate costing machines can do a lot of good too, like this Foreo Face Brush. These are almost as easy to use as the Neutrogena light mask. Just apply your favorite cleanser, move the brush around on your face using a gentle pressure for about one minute, and rinse off. And while we wouldn’t necessarily recommend the pink version for your bathroom counter, they do offer a nice midnight black and these come with a two-year warranty. 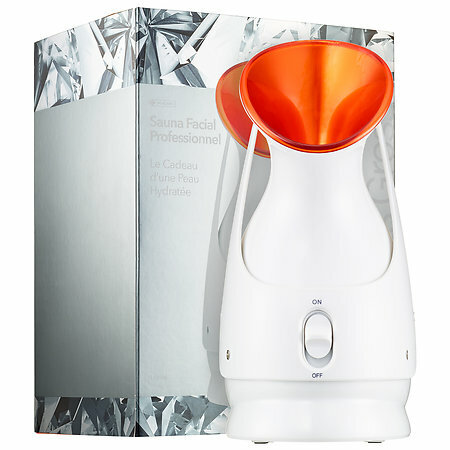 Men’s Health recommended this facial steamer to us, and that was all we needed to jump on the bandwagon. This is something that can be done on a semi-regular basis, or you can use just before really important occasions when you want to look particularly polished. The steam from a Dr. Dennis machine hydrates the skin as well as pumps up the blood flow which will aid in delivering a healthy glow. It will also help prepare your skin for a deeper clean, which means it will boost the results of both of the above devices. 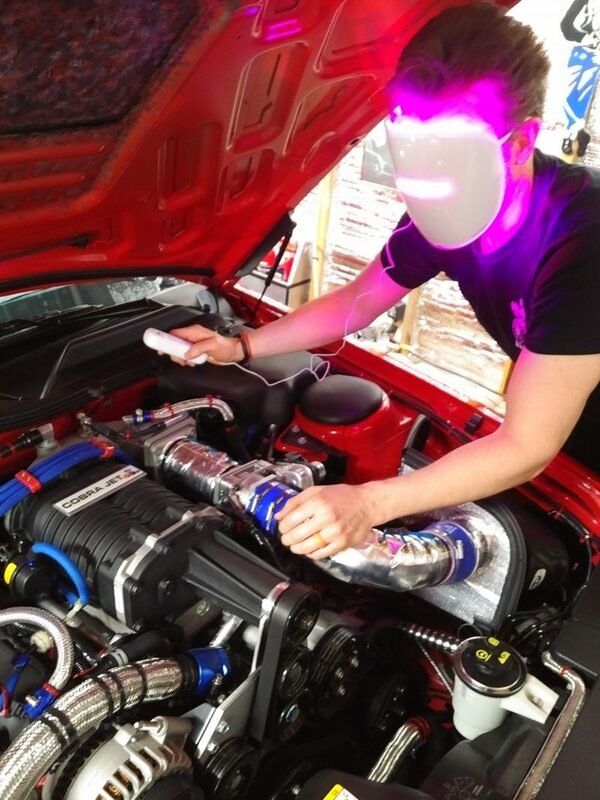 There are occasions when harder work is required for the best results, but these are three examples when high-tech and minimal effort actually outshine low-tech and maximum brawn (scrubbing).